My original plan was to wander west to Sterling, Illinois where I would setup shop and wait for the day to get underway. 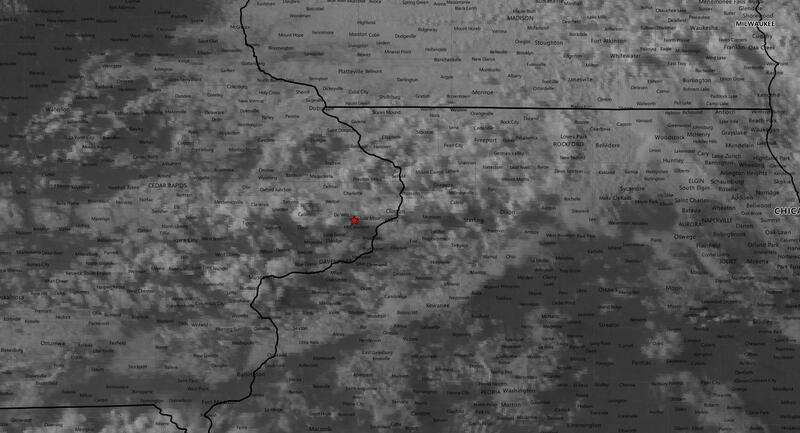 I rolled into Sterling right at 19z and the visible satellite was pretty clear south of the warm front with some percolating cumulus fields in North Central Iowa. 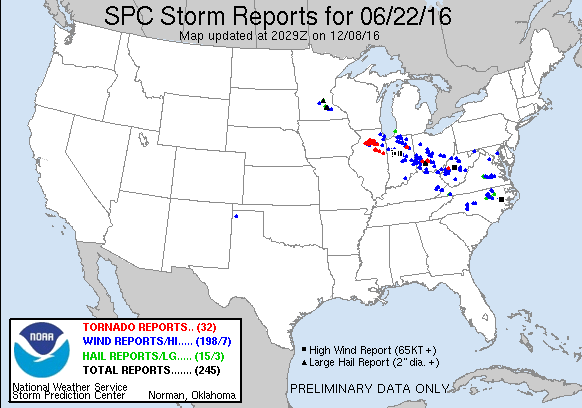 0-1km Storm Relative Helicity were 200+ m2/s2 across Northern Illinois. The SPC issued a mesoscale discussion at 2030z for an impending Tornado Watch which was later issued just after 23z. Almost a 3 hour wait between the mesoscale discussion and tornado watch issuance meant I would become impatient. When I become impatient I start driving around waiting for the sky to do something. 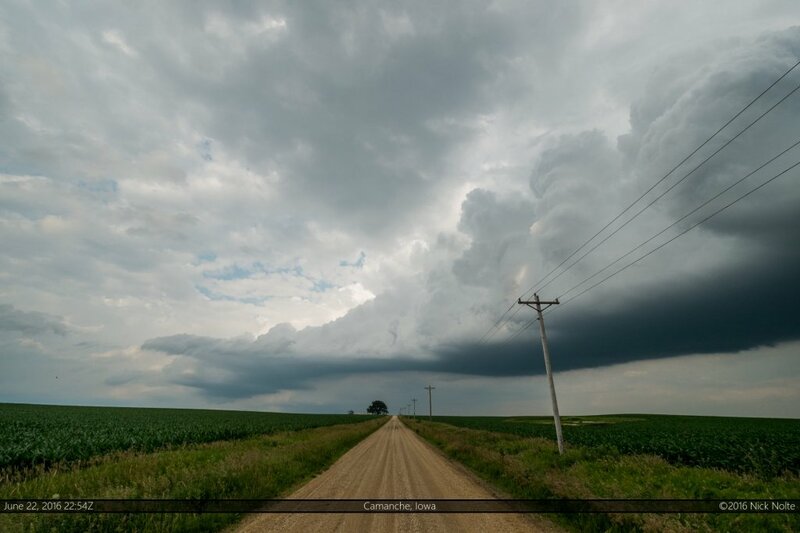 In this case I began to mosey northwest of Sterling eventually crossing the Mississippi and settling on a dirt road southwest of Clinton, Iowa where I sat once the skies started to percolate. Brad Goddard met up with me west of Low Moor while we waited. Things finally got going a little before 23z and we were on a storm right at initiation. The photo below is looking west at our newly formed rain free base. 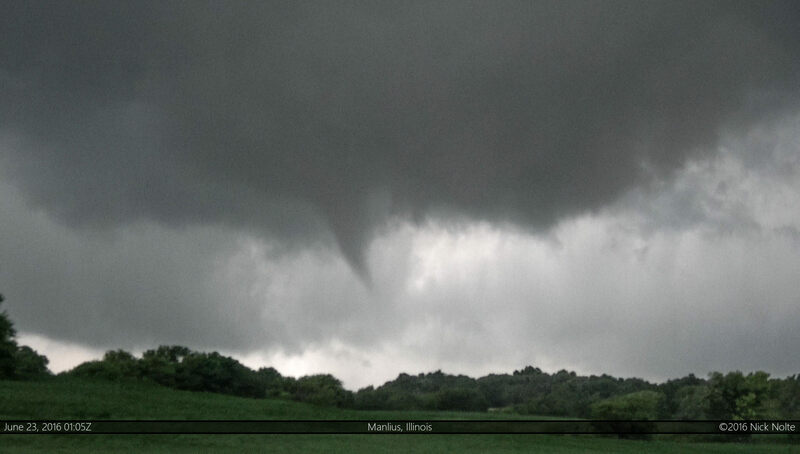 This storm would later go on to produce a brief tornado northwest of Manlius, Illinois in about two hours. 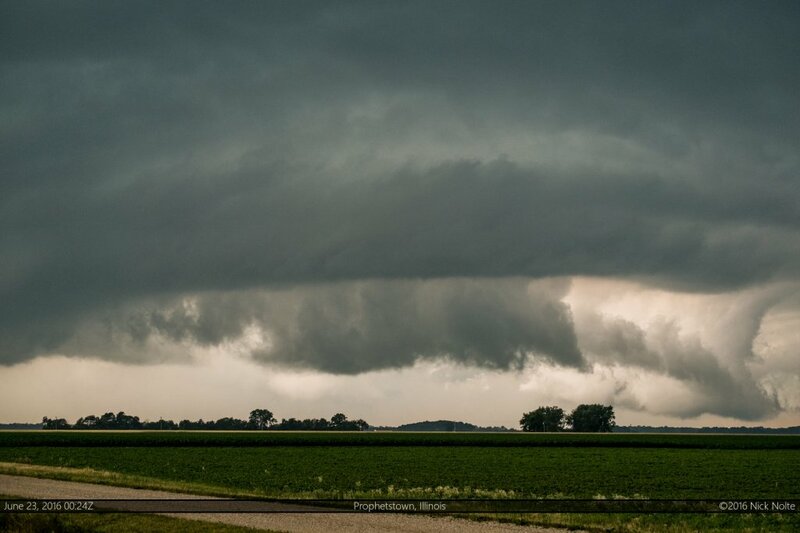 We tracked the storm back to the east across the Mississippi stopping every now and then to watch as new wall clouds developed which exhibited decent rotation. Then as we were stair-stepping along county roads between New Bedford and Manlius, the storm wrapped up and produced a brief tornado. 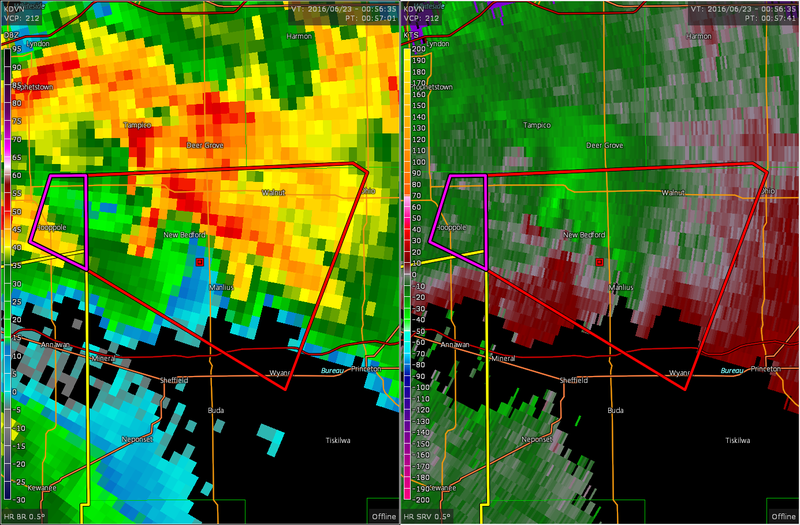 Quad Cities later surveyed this area and determined that this was an EF-0 tornado, one of three within Bureau County. 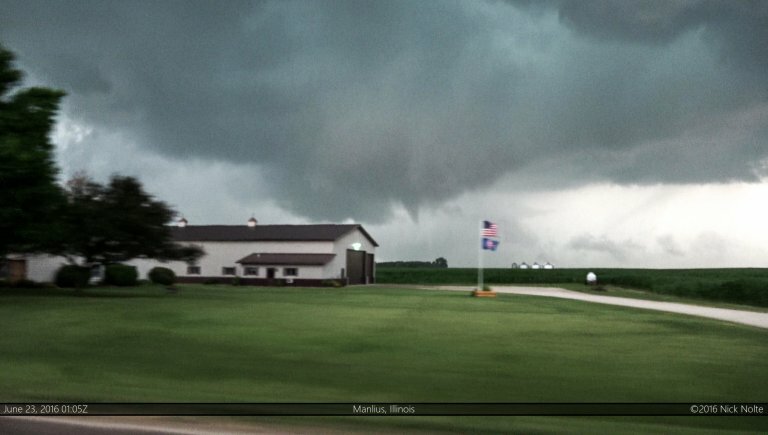 We tracked along with the storm until dark without seeing any additional tornadoes, although the storm system spawned at least 15 other tornadoes as the storms crossed into the Chicago County Watch Area. I decided to head to Blue Earth, Minnesota to play the low chance severe weather in the Northern Plains for the next couple of days.